Judie has been helping adult children care for their aging parents and educating professionals on the needs of elders with Alzheimer’s and related dementias for over two decades. 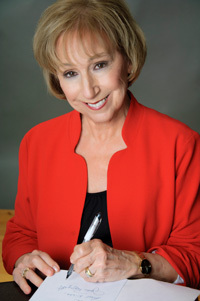 She is the co-author of the well-received books, Eldercare 911: The Caregivers Complete Handbook for Making Decisions and The Eldercare 911 Question and Answer Book. Judie also writes, Eldercare 911, a weekly column answering readers’ caregiving questions. The successful column is in it’s 7th year in Florida’s Scripps Treasure Coast Newspapers. Judie shows her love of her field in her reach, dedication, and involvement in both her community and national groups: she was a founding member and By-Law Committee Chair of the Geriatric Care Managers Assn. of South Florida, a founding member and 1998 and 1999 Conference Co-Chair for the Alzheimer’s Alliance; served on the Advisory Council for Area Agency on Aging, and currently serves on the Board of Directors for Alzheimer’s Community Care. She is a Certified Senior Advisor, a member of the American Society on Aging, The National Council On Aging, Eldercare Professionals, and Leading Age.